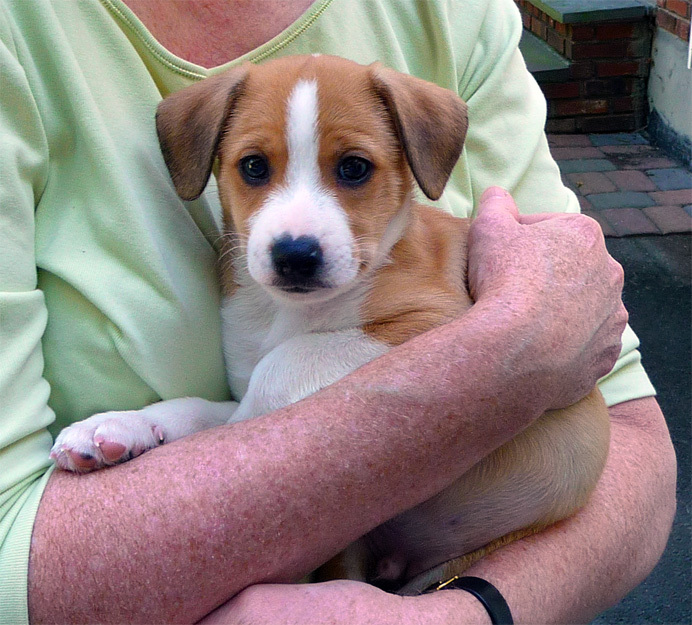 I took this picture in our driveway today as my wife, Mary, brought home our new puppy. He's a rat terrier, just seven weeks old. What shall we call him? We need a name that fits his face. .